Bed sores, or pressure ulcers, can be an uncomfortable–and even painful–experience. Bed sores develop when there is too much pressure on skin over a prolonged period. 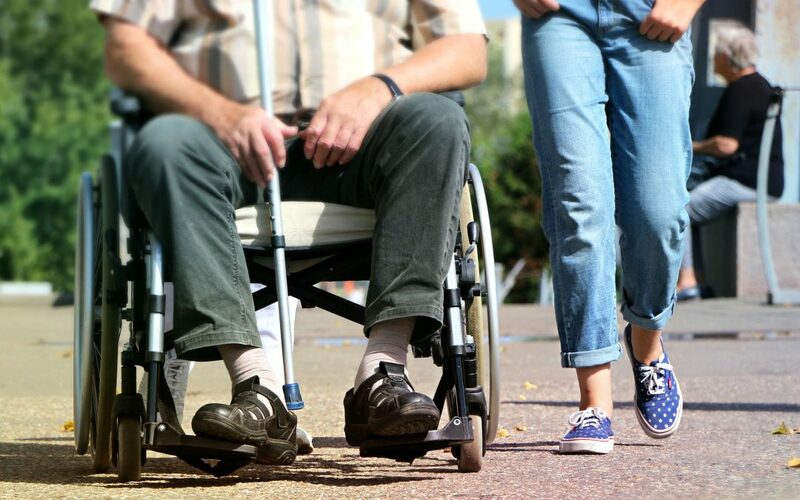 It’s a common problem among patients who are confined to wheelchairs or beds. Bed sore prevention is important because they can potentially lead to more dangerous infections, like meningitis or endocarditis. At Compassionate Assistance, we can help you or your loved one by preventing bed sores from contributing to your difficulties. Here are 5 simple bed sore prevention tips. Place pillows between the different parts of the patient’s body that rub against each other. Additionally, the National Institutes of Health recommend putting a pillow beneath the tailbone, elbow, shoulders, and heels. This will help prevent any possible bed sores that may develop as a result of excessive pressure on the skin. Clean and dry skin is always a must, but the cleaner and drier it is, the less likely someone is to develop bed sores. Use a warm, wet rag and mild soap to wash the body to prevent any bed sores. Gently dry off with a towel–rubbing too hard can lead to potential skin irritation. A healthy diet is essential for preventing bed sores. Assess the planned diet regularly, and adjust as necessary to make sure that it is nutritional and healthy. Of course, a healthy diet is important for everyone, but is absolutely essential for bedridden patients. Exercise may seem impossible for those who are bedridden, but even doing the minimal can help prevent bed sores. Just moving your body in it’s capable range of motion is better than nothing. Leg raises and arm raises (with assistance if necessary), or a soft stretch of the neck can be effective options. Relieve pressure on the skin by regularly rotating the position of your body. The less pressure on one concentrated area, the less likely you are to develop bed sores. A caregiver or family member may need to assist moving your body. Bed sores are just one of the difficulties you or a loved one shouldn’t deal with alone. Our local team of Client Care Managers are on call 24/7 to answer your questions! You can also visit CompassionateAssistance.com. We will work with you to design a customized plan of care that is right for you!